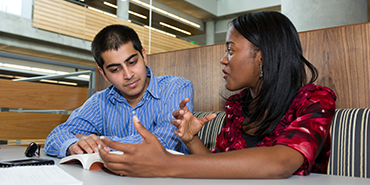 How many students are admitted into ISyE Master's programs each year? For target class sizes for the interdisclipinary M.S. in Quantitative and Computational Finance and the M.S. in Computational Science and Engineering, please consult the respective program directors. Can I start my Master's degree program in Spring semester? This is discouraged for new Master's students. In rare cases, some students may begin in Spring but our course sequence is designed for Fall semester entrants. Please contact the Associate Chair for Graduate Studies if you are interested in beginning your program in Spring semester. Does ISyE provide financial support for M.S. students? Since the graduate program in the Stewart School is exceptionally large, we have adopted a policy regarding financial aid that is perhaps somewhat different than that pursued by other, smaller programs. ISyE will not offer GTA (teaching assistant) support to Master's applicants, and faculty very rarely offer GRA (research assistant) support. Normally, these funds are reserved for Ph.D. students. Applicants should never send mass emails to faculty soliciting GRA support, and should initiate any request for advice on funding a Master's degree to their program lead advisor or the Associate Chair for Graduate Studies. Does it make sense to enroll in the M.S. in Supply Chain Engineering program if my ultimate goal is to receive a Ph.D.? It could be. The M.S. in Supply Chain Engineering is a practice-focused degree and could be good preparation for Ph.D. study in supply chain applications especially for students who do not have much real-world work experience. Quantitative methods for supply chain engineering are covered in depth. However, the primary purpose of the degree is to prepare graduates for industrial practice and not for research. What are the differences between the M.S. Supply Chain Engineering program and the M.S. Industrial Engineering program? Can't I find a supply chain position with either degree? 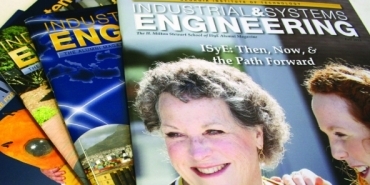 The MSIE degree is earned solely through completing a set of coursework, and only offers a few courses that touch on supply chain applications of industrial engineering and operations research. It is a broader degree. The MSSCE provides depth of coverage in supply chain engineering, with a special limited enrollment set of courses. 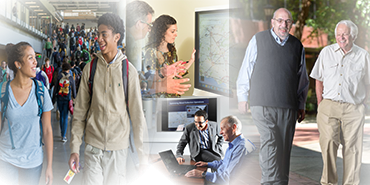 Many MSSCE courses feature class projects conducted for industry partners. Students also complete a Capstone Project experience with industry. If you want hands-on experience in your degree program, the MSSCE may be a better choice for you. Which Master's degrees can be completed by distance learning? 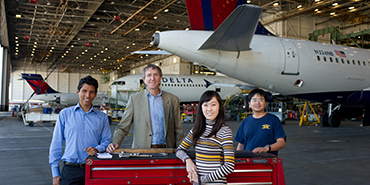 Currently, you can complete a Master's degree in Operations Research, Industrial Engineering, or Computational Science and Engineering via Georgia Tech's distance learning program. A complete list of distance learning degree programs is provided by Georgia Tech DLPE. I work full time in the Atlanta area. Are any of the courses offered at night or on weekends? Most current courses are offered between 8 am and 6 pm on weekdays. While it is possible to earn an on-campus M.S. degree while working full time, it will require attending courses during the workday. Contact the Associate Chair for Graduate Studies for more information. What is your GRE requirement? We hesitate to provide average scores, as our admissions committee takes a holistic approach when considering a student for admission. All parts of the application are considered including GRE, recommendation letters, prior academic performance (including our sense of the rigor of prior degrees and their institutions), and finally, any work experience that you may have. What is your GPA minimum? We do not have a minimum, as our admissions committee takes a holistic approach when considering a student for admission. All parts of the application are considered including GRE, recommendation letters, prior academic performance (including our sense of the rigor of prior degrees and their institutions), and finally, any work experience that you may have. With that said, one with a GPA below 3.0 may find it difficult to gain admission. While work experience is not a requirement for admission, it is viewed favorably by the admissions committee when reviewing an application. Is the GRE and TOEFL (if applicable) required at the time of application? No. You can apply without having available scores, however official test scores must be received prior to officially being granted admission to Georgia Tech. What is the cost of tuition & fees for your program(s)? Please see the GT Bursar’s website for tuition & fee information. We are not able to make admissions evaluations via email. Once you complete a formal and complete application, it will be given the consideration it deserves. The admissions process will examine the applicant’s prior academic performance, including our sense of the rigor of prior degrees and their institutions, GRE scores, personal statement and recommendation letters. Copies of your transcripts should be uploaded with your online application. If you are admitted into the program and decide to enroll, you will be required to have official transcripts sent to the Office of Graduate Studies. My GRE exam date is scheduled after the application deadline. Can I still apply? Yes, you can still apply. However, we can only guarantee a review (and decision) of an application for those who submit a complete application by the deadline. Do you offer an online option? MS in Industrial Engineering as well as MS in Operations Research are offered as Distance Learning (online) degree programs. Transfer credit is accepted only in rare cases, and must be approved by the Associate Chair of Graduate Studies, ISyE. A maximum of six credit hours are transferrable. A transfer credit request should be submitted to the Academic Office in a student's first semester. What is the total number of required credit hours? Our Master’s degree programs require 30 credit hours. For specific curriculum information, please review our website. No. The Institute requires the TOEFL and will not accept any other exam. Technically, yes. However, an applicant can enroll in only one degree program. My country’s primary language is English, do I still need to provide a TOEFL score? Exceptions are given to applicants from countries where English is the SOLE OFFICIAL language of instruction. An applicant is also exempt if they have studied for at least one academic year at a U.S. college or university. Please visit http://catalog.gatech.edu/admissions/grad/toefl/p for further information on TOEFL requirements for international students. What are the financial document requirements for international students? When/how will I know my application decision? Once an admissions decision has been made, you will be notified via email and will follow instructions to view. Please do not contact us asking when a decision will be made as this will only slow down the process.